A group representing salmon fishermen has called on the Department of Agriculture, Food and the Marine to safeguard wild fish stocks. 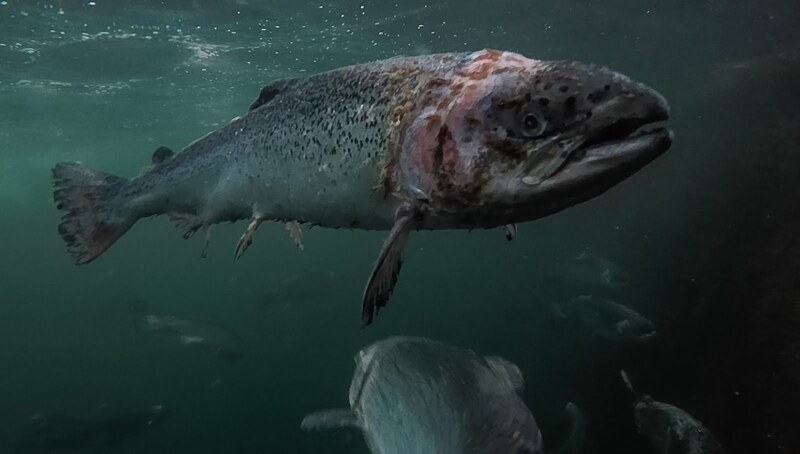 The Galway Bay Against Salmon Cages group says action is needed after confirmation that farmed salmon had escaped into the western river network last autumn. A report by Inland Fisheries Ireland says up to 500 fish may have entered western rivers in August and September of last year. The agency says that this poses a threat to native wild stocks as a result of interbreeding and other ecological impacts. Salmon farm operators are obliged under law to notify the Department of any escapes. IFI says there is no record of any such contact in relation to this investigation. An investigation was launched after anglers reported catching suspected escapees in mid August. Over the weeks that followed, fish were caught in the Ballinakill fishery district, as well as in the Erriff, Bunowen and Newport rivers. Analysis of scales was carried out on 34 samples, with more detailed tests conducted on seven fish. All of these were found to have originated in salmon farms. They had a larger smolt size and an absence of markings that would distinguish them from wild Atlantic salmon. Some of the male escaped fish were sexually mature and of Norwegian ancestry. IFI said this presents a potential threat to wild salmon populations and that more extensive studies may be needed to quantify the long term impact of the escaped fish on native stocks. Galway Bay Against Salmon Cages says it is not surprised by the report findings. It said the analysis confirms its worst fears and has called for decisive action by the department to ensure that licences are revoked as a result of the non compliance with regulations. The group claims this is the latest in a series of breaches, for which no sanction has been applied on salmon farms. It says that the industry is now effectively "unregulated" and poses a massive danger to inshore fishing and angling tourism. In December Galway Bay Against Salmon Cages (GBASC) connemara members who were opposed to the proposed Aquaculture Business Park at Cill Chiarain Connemara raised the issue at our meeting. GBASC is a coming together of a wide range of interests including, inshore fishermen, anglers organisations, tourism business operators, food business operators , islanders, Connemara people and indeed concerned groups from wider afield. A group of concerned Connemara citizens who were in contact with our members were afraid to put their names to an objection to the Aquaculture Business Park (ABP) for fear of intimidation! Their fears seem to have been completely justified, for as soon as the objection was published on the Galway County Council planning website with my name and address as chairman of GBASC attached, I received threats on Facebook from a small group . One thug threatened to burn my house down, another advised that you could find my house on Google Earth. GBASC are seeking legal advice on how to deal with this serious situation. Intimidatory threats like these are a serious interference in the planning process, which is designed to allow concerned citizens to make submissions so that the planning authority can make decisions that take many views into account. The planning law as it stands allows for objections and comments from individuals and groups who have concerns in relation to a particular proposal. In fact there are laws to protect citizens from intimidation and bullying. Of greater concern than the Facebook issue is the repetition on some mainstream media of the name and address of myself, who in discharging my duties as chairman of GBASC, submitted an objection on the instructions of our committee, am now the focus of personal threats and intimidation for partaking in the democratic process. They are putting personal data into the public domain in a manner that is very worrying. This is not the behaviour one would expect of journalists.